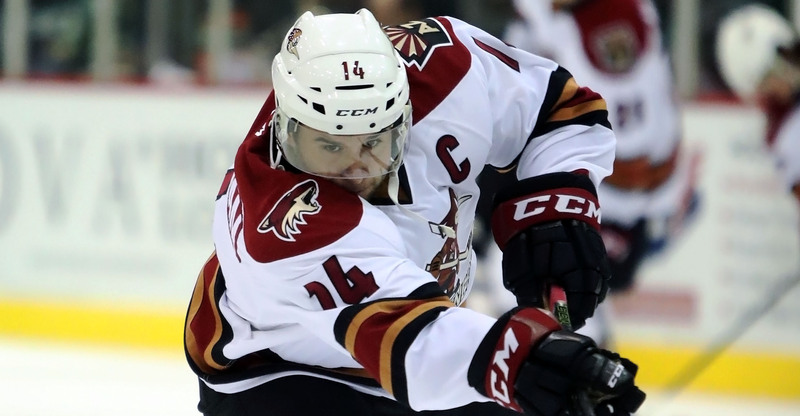 A TSN Original – ‘All Heart’, chronicling Craig Cunningham’s recovery from his sudden bout of cardiac arrest suffered at Tucson Arena on November 19, 2016, will debut on Wednesday evening. The piece, filmed last March and April in Tucson, Arizona, and over the summer with Cunningham and Ray Ferraro, TSN’s lead game hockey analyst, will touch on Cunningham’s experience throughout the incident, and his miraculous road to rehabilitation thereafter. Josh Shiaman, the Producer and Director of ‘All Heart’, touched on his outlook for the documentary, which focused heavily on Cunningham’s relationship with Ferraro, who will be featured prominently in conversation with Craig. WATCH: TSN Original – What does Cunningham remember? “Craig is and was always really good friends with Ray’s son, Landon, who is in the Minnesota Wild system as well," Shiaman added. Wednesday’s piece isn’t solely meant to capture Cunningham’s extraordinary recovery, albeit the focal point, but to show how the people of Tucson embraced he and the team during the dramatic stretch. There will undoubtedly be emotionally saturated segments to tell such a story as Cunningham’s. For Shiaman, it was Craig’s steadfastness that really struck a chord. One more time Cunningham’s story will be told. It will, though, continue to form new chapters as he continues to reach for higher levels in his beautiful stride toward new ambitions.